I came across a book which made me appreciate wolves. 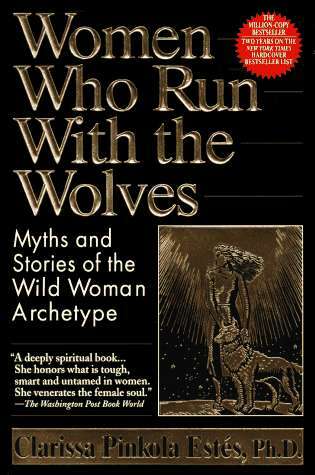 It’s “Women Who Run with the Wolves” by Clarissa Pinkola Estes. It’s easily among the best books I have and will ever come across. It’s about making choices, looking beyond the box, being appreciative of who and where you are, genuinely loving oneself so as to genuinely love another. I came across an interview with Sting. I like it that he likes Mahatma Gandhi. I like it that he puts his optimism into his songs. He just used different words but I see that he’s actually putting across what the excerpt above says. I came across a theologian who said that the beauty of the Bible lies in the fact that there is a God who one day will redeem humanity [has redeemed humanity]—that this is the fate of humanity—, and not in the fact that the end is punishment/destruction and death, despite the mess we find ourselves in right now. Another book that’s among the top of my list is “Man’s Search for Meaning” by Viktor Frankl. It’s a short read and it has the feel of a documentary-for-life. It’s about survival in the midst of the most dire straits. It speaks for humanity. I like it that both books that I mentioned were written by psychiatrists who are not just “clinical” but are real flesh-and-blood humans with beating hearts. I like both Sting and the Mahatma, very much. I like the message of hope that I choose to listen to from the Bible, and that’s why I like the Bible, too. Enjoyed the wolf story, feeding hope and starving hopelessness is so important. Take care and look forward to your next post.